We have all Aspen Mini Pumps in stock and available to buy online. These Aspen Pumps operates on a float switch mechanism which detects the presence of water in the drain pan, activating the pump. 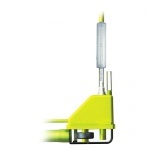 Aspen offer the most complete and high performance range of mini pumps in the world. Mini Orange & Maxi Orange. Mini Lime & Maxi Lime. If you have any pre-sales questions, please call us on 01752 894 777. All Aspen Pumps are available to buy online direct from us and delivery is generally next working day from the UK. The world’s best selling mini pump offers unrivalled reliability and performance. 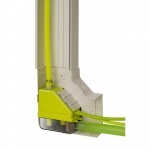 The patented Lime System is a unique one piece elbow pump, mounted within a dedicated trunking system. 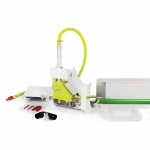 It’s compact design allows easy install & maintenance. The ‘ultra quick fit’ Mini Blanc is designed to be fitted beneath high wall indoor units and offers easy access for future maintenance. Aspen Mini Pump Technical Detail.